IPv6 6to4 Tunneling... NO STATIC ROUTE?! So I finally got this working, with the lab from my previous post. Here's a 6to4 tunnel, without the 2002::/16 static route, or ANY static routes for that matter. So moving on from my last post, and before doing a little write up on IPv6 tunneling I thought I'd do one more scenario. So very similar to the last issue, we have an IPv4 only WAN and we want to dynamically tunnel IPv6 traffic over said WAN. - When the task is complete you should be able to successfully ping 2002:A0A:A02::1:2 and 2002:A0A:A03::1:3 on R1 sourcing from Lo0. IPv6 Tunneling... you might hate this one. So, I'm going to [try] and do this one a little different. I want to start with my typical, arguably lazy approach of presenting a problem and posting a video solution. However, for fun I'll do a closer look follow up to this one in a separate post. So here's the task at hand, your organization is looking to start migrating to IPv6. 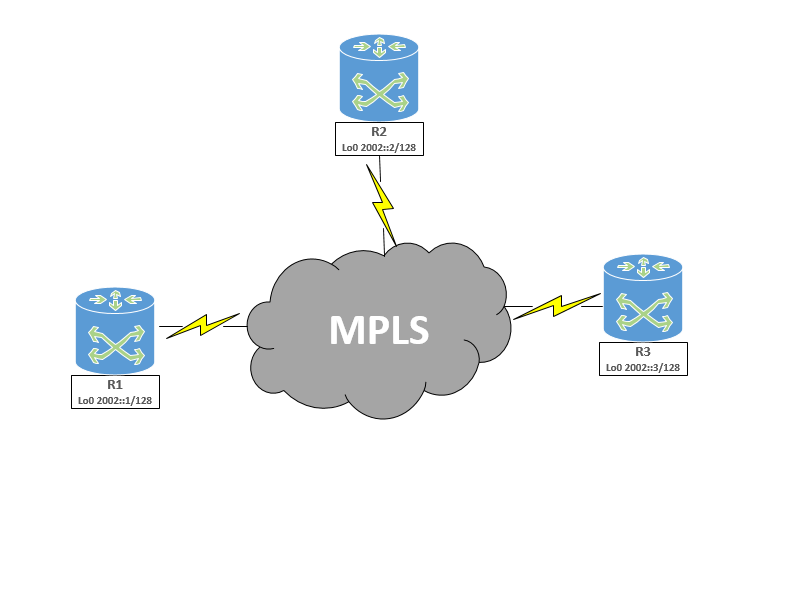 Currently your MPLS provider does not support IPv6, but part of this testing phase is communication between sites. Your goal is to maintain a fully meshed environment, with minimal tunnel interfaces. - Do not add any IPv6 addresses to any physical interfaces.